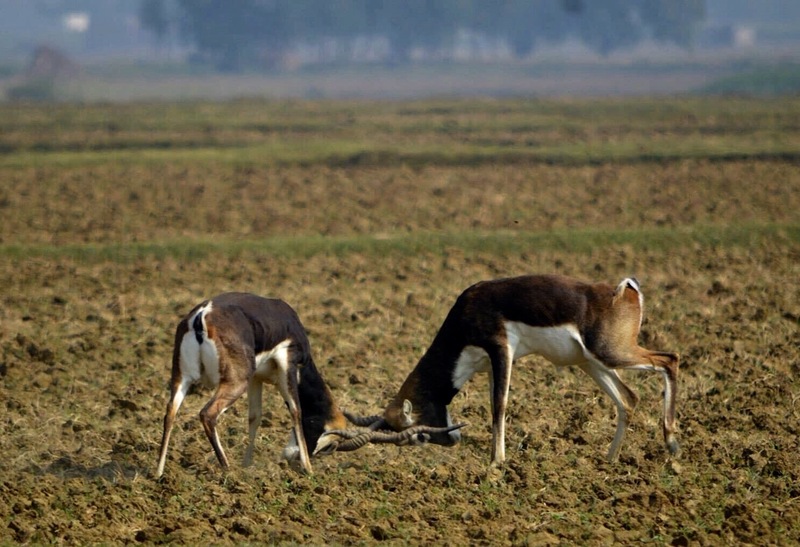 Black Bucks deers 🦌are the Most beautiful among Animal Kingdom and they are most commonly found in abundance in the open fields at Buxar a district of Bihar (India). 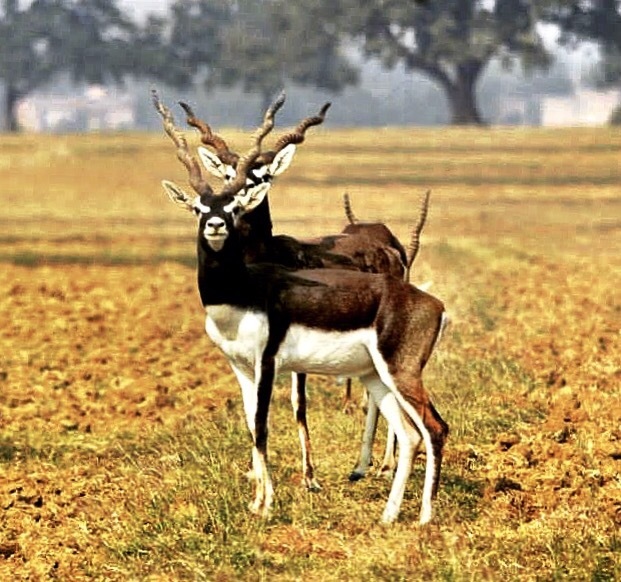 Click of Black Buck in pose….from Buxar in Bihar India. 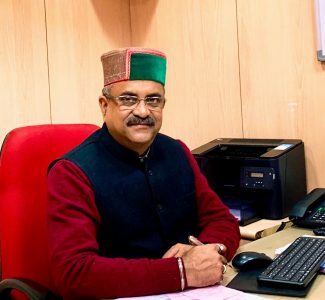 It was in August 2010 when I landed at Buxar on My new assignment being promoted to the post of Chief Lead District Manager. 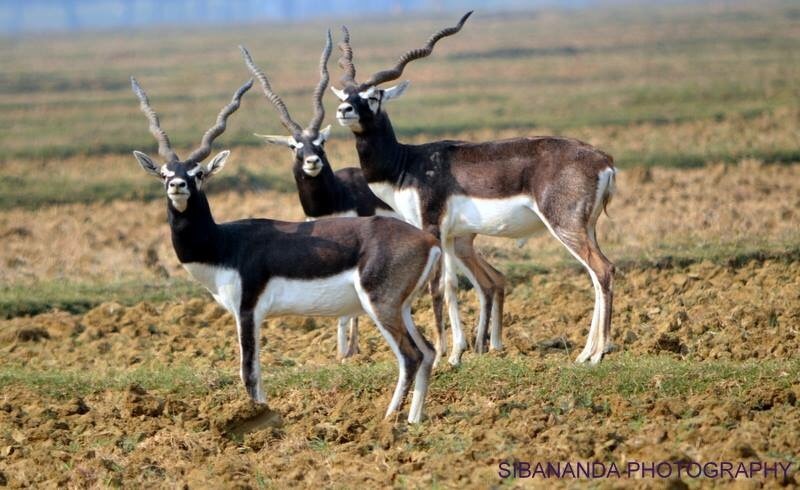 I being a nature lover and photographer was extremely happy to see that there were plenty of blackBuck deers and Blue Bulls in Open fields there and it was amazing to see them play and graze around in open paddy fields during my extensive tours in the district. Mostly Buxar is gangetic plane area on the bank of river Ganga and foods like Paddy,wheat and other grains ,millets and mustard are main cultivated crops.Apart from it,a lot of vegetables are being cultivated there too. It was really amazing to see hundreds of BlackBuck deers both male and female roaming here and there in the field grazing grasses and sometimes destroying crops . Watching a fight was a rare occasion but I was lucky 🍀 to click this Unique event.Thanks to the people of Bihar that such beautiful animal feel free to roam and graze in open almost without any threat to their lives. Let’s live and let live these beautiful creations of God. I am personally thankful to the than DM of Buxar Sri Vinod Singh Gunjiyal for his inspirations .